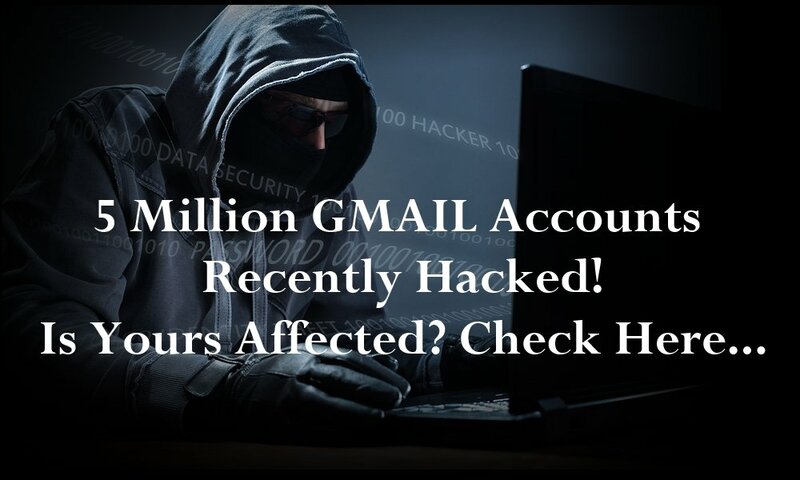 5 Million Gmail Accounts Hacked - Is Your Affected? Was I One of the Gmail Accounts Hacked? One of our affiliates, LastPass (a FREE service that On-Target SEO highly recommends) has created a utility where you can easily check to see if you are one of the Gmail accounts hacked, by comparing it to the database of accounts that were affected (see link below). Hackers often get the initial login from a home computer with limited security. One of the most dangerous things you can do is “save” all of your logins and passwords on your computer or other device. If a hacker gets into your computer, he will have access to all of your “stuff“. So to keep your login information safe – you should have different login/password combinations for all of your online activity, AND you should NEVER save this information to your computer. If you are like me, then you have many logins and the above plan is much easier said than done. The good news is our affiliate, LastPass, has a FREE service to easily and safely save all of your user-ids and logins in one secure location. Once you set up your account with LastPass you can log into any of your online locations securely from any computer. Safety aside, if you currently save your logins/passwords on your computer, what are you going to do when that computer crashes and you no longer have access to your saved information? What a headache! LastPass makes sure you can safely access all of your logins and passwords from any location and any computer. Your login information is stored on their server, which is infinitely safer than storing it on your personal computer. LastPass employs robust firewalls and heavy security used by large corporations, making it much more difficult for hackers to gain access to your logins and secure information. Cyber Criminals today aren’t really happy with just hacking into your computer. If you are a business owner and have a business website that you log into from home, you may be especially vulnerable. If you routinely save login information on your home computer, a hacker can easily gain access to your business website. With your administrator login, the intruder can place a virus that will infect not only your website but your visitors as well. It is sad that we have to take such extraordinary measures these days to keep our personal information and our businesses safe. LastPass is a great tool that we at On-Target SEO use on a regular basis to help keep our business, our websites, and our clients safe from intruders. You can learn more or sign up for LastPass through the check Gmail link above – just click on ‘How it Works’ in the LastPass menu at the top of their screen.